The day has finally come for me to delete this blog and move on to my next project. I started blogging in 2009 and I found the blogging community to be such a welcoming, engaging and uplifting space on the internet. There were also periods of (mainly unemployment) where focusing on writing for this space helped to calm whatever quarter life crisis I was going through. 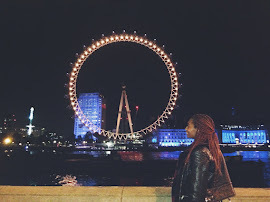 Since moving to London however, I felt that I had outgrown this blog, the name, and the things I found myself posting about. That, coupled with full time work, socialising and starting other side projects meant that this blog kept being put to the side. Instead of leaving it here and occupying space, I have decided to delete my 'thatgirlsaadiya' blog. Instead, I shall be over at www.ojoma.com where I have set up base as a freelance editor, proofreader and copywriter. I shall also occasionally blog what I've been up to from time to time or as and when needed. In the meantime, I want to leave you with two blogs that I have loved following over the years. Both women have grown and developed into exceptionally talented creatives with content that never fails to amaze and inspire me. Make sure to check out Sade From In My Sunday Best and Halima from Fashionicide. I can only confidently talk about what I know to be true and what I know is that when I was much younger, if a person of colour ever appeared on a TV show, it would be a bit of a big deal in my household. Representation, or in this case, lack of representation, was a big problem that my younger self never questioned but simply accepted. Living in the UK, I accepted the fact that if I wanted to see people like myself on TV I had to watch ‘black entertainment’ shows (shows specifically targeted towards a black audience which further divides, rather than integrates) like My Wife and Kids, Sister Sister or The Fresh Prince of Bel-Air (que the beginning of my never ending love for Will Smith...) Or the fact that Sir Trevor McDonald and Moira Stewart were the only successful news anchors on TV who gave me a slither of hope that I could one day do the same. And despite being a lover of books and a magazine junkie at such a young age, the literature I was reading in school never once described a main character as having 'dark skin and tightly coiled afro hair' while I failed to see mainstream magazines suggest products for darker skin tones so that I too could rock 'this summers hottest make-up look.' It took me a long time to question the norm and also accept the fact that mainstream media had no interest in representing me. When mainstream media finally did attempt to represent me and others like myself, it did so in such a grotesque way. It chose to use caricatures that depicted my entire race as either ‘the sassy black friend’ or ‘the ghetto chick from the hood’ as the perfect accessories to a main character who never had their own story line. I am neither sassy, ghetto, nor from ‘the hood’ and it goes without saying that being black is not synonymous with being ‘urban’ ‘exotic’ or ‘sassy and loud.’ If a film or show requires a sassy best friend or a thug from the hood, why must they be black? If a film or show requires a nerdy friend or a maid, why must they be Asian? And if a film or show requires a drug lord or leader of a criminal gang, why must they be Mexican? Why does Hollywood fail to see actors from minority backgrounds as anything but an opportunity to further perpetuate and enforce stereotypes? Not only do we need more representation, we also need to better quality representation. Watch this, this and this to understand further. But that was ages ago, we've moved past this now! This is 2016 and we're past the obvious typecasting now right? TV, film, news shows and literature is learning to be more inclusive and diverse right? More and more women of colour are taking leading roles in Hollywood now and getting involved in behind the camera too, right? The media is not just learning to include people of colour but people from all sorts of minority and underrepresented backgrounds right?? I think it very much feels like this is the case. Shows like Suits, Scandal, How to Get Away with murder and new shows like Jane the Virgin give some sort of hope that directors and producers are willing to cast actors of colour in leading roles, with no other agenda. My favourite is Gina Torres (who plays Jessica Pearson) in the TV show Suits as she doesn't play an assistant but is managing director of the law firm that the show is based around. That’s a pretty big deal!! Or how about the fact that Olivia Pope is the main character in a TV show who is played by Kerry Washington, a woman of colour. Scandal isn't a show in the sub-category of ‘black entertainment’, Kerry Washington isn't supported by an all-black cast and Olivia Pope is very much a three dimensional character. I think Viola Davis hit the nail on the head in her SAG award acceptance speech when she thanked the producers of her show for ‘thinking that a sexualised, messy, mysterious woman could be a 49-year-old, dark-skinned, African-American woman...' because when it comes to casting such roles, women of colour are often ‘not what we had in mind.’ Race is a funny thing because it shouldn't matter but, at the same time, it’s of great importance. Some of Hollywood's best actors and actresses are people of colour and come from a plethora of backgrounds but are they still seen as less marketable in a world that is increasingly becoming more and more diverse and multi-cultural? If we go even further and analyse the Oscars, the biggest awards ceremony in the Film industry, it’s even more depressing. Since the Oscars began in 1929, only five black people have won in the Best Actor and Best Actress category - four black males and one black female - while in the director category, there have been no wins for a black director. Well it’s not like this is deliberate… any excuse to accuse people of being racist!! It's easy to state that these examples (and many others) are not deliberate exclusions of people of colour from the media industry. Let's take that viewpoint for a second - that lack of diversity is not a deliberate decision but simply an oversight. This means that the producers, directors, editors, writers etc fail to be aware of the diverse nature of their audience. If your magazine, book or TV show is aimed to appeal to the general public, then a part of that means being aware that you are trying to appeal to a global, diverse, multi-racial audience. It’s surely impossible to ‘forget’ that kind of thing, thus, oversight is not a justifiable explanation. In response to those who bring up the argument 'so if a company does not hire a person of colour, that means they are racist?' No. But if they fail to interview or give the job to a person of colour, despite them being perfect for the role, and give it to someone less qualified, then yes. In the same way that you wouldn't give someone a job or a role simply because they are a person of colour and therefore fulfill your diversity quota, you wouldn't decline someone of a job they are perfectly qualified and experienced to do because of their skin colour. That seems pretty obvious but it's surprising how many companies fail on both sides. It's not necessarily about running out and hiring every black actor or model or news reader because you want to seem diverse. It’s about acknowledging the fact that the media is supposed to be reflective of the society it is aimed towards. It’s important that films, publications and TV are not constantly regurgitating the same stories from limited perspectives and fail to explore the great opportunities to truly represent our world. It's a balance that the media seems to still struggle to get just right. I think we can all agree that the media is the biggest entity in the world. It provides news, information, entertainment and a way to connect. It also controls our perceptions of reality, life, the society we live in and who we are as people. So when I, as a woman of colour, fail to see myself properly represented in the media, it makes me feel invisible. When I, as a woman of colour, am placed in a 'sub-category' or stereotyped, I realise that I am part of a world that fails to truly acknowledge my existence, despite very much being a functioning member of society. Film, literature and TV form narratives that create who we are as people and further enforce our relations with one another. So it is important that we can watch a show and see a person of colour playing a complex character and not be surprised by it because that is what happens in real life! It is important that actors of colour are recognized for their talents and that the news is presented from different perspectives. Stereotypes need not be the norm and should not dictate how we view the world and people around us. Over the next couple of weeks I will be talking about identity, specifically as a Black-British female. Let's carry on this conversation - tell your own stories and add to the dialogue, either online or offline. Let’s talk about our experiences with media representation. Have you ever thought about media diversity and how it has affected you? If yes, then why? If not, then why not? Can you confidently say that you feel fairly represented? That you’re represented all the time, not just every now and then because it seems to be a trend? Leave your comments below, share your responses, tweet me your thoughts, share this post around and let’s keep the conversation going. Recently I’ve been thinking about where I belong. On forms and official documents I automatically opt for the box that says ‘Black-British – African decent’. This, I assume, is straightforward - I was born in Nigeria but grew up in Britain and subsequently immersed myself in British culture. However, my cultural identity has been something that I have struggled to fully understand within myself and often find difficult to place. I’ve been caught up in the catch-22 situation of not feeling ‘Black enough’ but also not feeling ‘British enough’ to be classed, definitively, as either or both. There are days where I crave nothing more than to be surrounded by those like me; those with whom share my mother tongue and totally get it when I tell them ‘people keep asking me if Ayoola and I are sisters. Like, what the hell?’ There are days where I want to indulge in my mothers cooking, talk with my cousin while making our way through bottles of Supermalt, laugh with my siblings about our childhood that was so boldly different from that of our classmates and bask in the glow of my skin. Then there are the days where I refer to home as Nottingham and where my language is dry and dripping with British humour. Among all this, however, there are also days where I feel awkward and proceed to scrutinise the way my hair refuses to co-operate. Days where I enter a room and scan the place for any sign of another woman of colour and days where, when among black people, I feel ashamed at the uninvited thoughts that enter my head - that being 'Black' is more than just my skin colour and heritage. Yet, I don’t quite ‘get’ what else there is to it. For years, these parts of me that I identified with have struggled to coexist with one another – to celebrate, or even talk about, being black seems to leave others perceiving this as being anti-British or anti-white while, to acknowledge that I am British, seems to cast aside my Nigerian heritage with one careless motion. I grew up in a Nigerian household while moving up and down the country. I experienced life as the only foreigner and woman of colour in a school of hundreds and again in a school full of different ethnicities and religions. I found myself not really fitting in to either side of things and so cultivated friendships with people from places I’d yet to learn about. Nevertheless, my experiences of home life certainly was different to that of my classmates and, for that, I was confused as to why things didn’t quite seem to fit. For example, one of my many over dramatized teenage woes included hating my hair and not understanding why it couldn’t be like everyone else’s in my class or on TV or in the literature that I was reading. A certain type of hair that was literally everywhere in the world I was seeing, except on my head. I laugh at it now but it’s a clear example of wanting to pick and choose, to mix and match parts of who I was with what I wanted. Of course, this is not how things work. When I was 17 and deciding on University and career options, my dad told me with a sense of urgency ‘Saadiya, you’re a young, black, Muslim woman in the world today. You need to give yourself as big a chance as possible to succeed.’ That’s a lot of things to understand and carry around with you as you navigate this world. It is something that I’ve been trying to compartmentalize; pick apart, taking the time to understand each component, and piecing carefully back together. I’ve been informed many times that I’m not ‘really black' by others who deem themselves to be ‘more’ black than I. The scrutiny followed me around during my time at University, insisting that I need to be of a certain character, use a certain type of vocabulary, cultivate certain types of friendships or move through the world to a specific rhythm before I can truly ‘be black’. Which begs the question, without meaning to be reductive, what else is there to being black other than the colour of one’s skin or heritage? For me, it is a part of my identity that is clear cut – no wishy-washy definitions or alterations needed. It is, indeed, who a person is and not a certain aesthetic that one is trying to achieve or portray. Yet we tend to put up barriers, insisting that there be a difference between one persons black in comparison to anothers. Growing up I believed this. Not so much anymore. Because as I started to explore other parts of my identity; being black or being of African heritage were, in my view, solid and tangible – something that I could always come back to, regardless of whether others welcomed me or not. On the other side, I also have many experiences with struggling to identify as British. From food to navigating two distinct languages. From my relationship with my parents to a concept of a 'home' that was not immediate and present. I felt like I was constantly trying to find the right balance between my heritage and the British culture that I found myself in. In a post-brexit world this has increasingly become a cause for much internal debate. A part of this is, firstly, understanding what it means to be British and, subsequently, having a different definition than others. ‘Multi-cultural Britain’ is a phrase that forms part of our dialogue when talking about life here. It’s something that I want to believe in when I see it reflected in my neighbours, colleagues and passersby. It paints the image of a nationwide tolerance that forces the chains of prejudice to loosen. Sometimes, however, this belief is not something that I am able to hold on to. It’s always a kick in the teeth to see or hear comments calling for people to ‘stop talking about racism’ in order to make it go away. Because I still consider what, if any, affect my skin colour may be having on a certain situation or social setting that I find myself in. This is simply because my experiences have not afforded me the opportunity to stop thinking or talking about race. For me, Brexit was a recently prime example of how, despite growing up here, I, like many others, can feel like an outsider in an instant. Fear surrounding immigration and subsequent xenophobic rhetoric engulfed our lives. With the ongoing rise of hate crimes, I cried while meeting up with a friend as I told him that I was left questioning what, in my eyes, was one of the core values of this country and of what it means to be British. Unlike being ‘black’ I found being British to be less tangible a concept. Rather than a set construct, I saw it as an amalgamation of different things. Surely, being British means something different to everyone. It could mean something different to people in Liverpool or Newcastle and something different to people in London or Devon. Then there is the difference between people in Scotland or people in Wales. If I am mistaken, however, should I then identify myself as ‘Black-English’ while my Welsh counterparts identify as ‘Black-Welsh’? Or does this create further divide? It then seems strange to me that to be British – an amalgamation of different nations - means something other than being inclusive, welcoming and, indeed, multi-cultural. But of course, as the story of the Brain family tells us, there are certain cultures that are more welcomed than others. If I am to believe the media, it seems that immigration poses a real threat to the very essence of what it means to be British. What is missing however, is the understanding that immigration has always been part of the rhetoric of Britain, woven in to its history as far back as 1066, if not further. 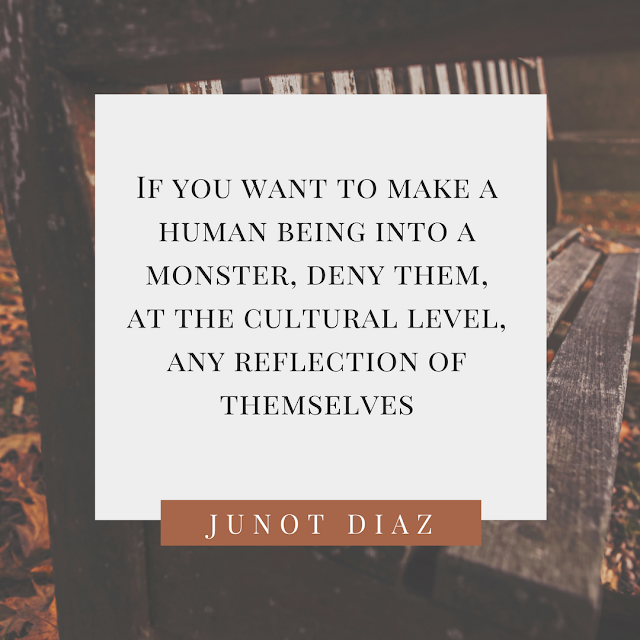 It seems that the very act of calling out different races or immigration, has, in steady defiance, caused people like myself to hold strongly on to this part of our identities. To insist that it is possible to be both Black and British at the same time, in the same sentence. Given the historical context of Great Britain, there should be space for this to happen. Yet, there are those who clearly envision something different to what I do. I have yet to understand this in the same way as I have with being black. Can the part of my identity that is British ever be fully acknowledged by others? Nevertheless, while I can’t control how others perceive me, I’m learning of the high importance of how I perceive myself. I identify as black and I identify as British. As a citizen and as an ‘other.’ It is of importance to note, however, that this contrast encompasses a variety of things. I identify with my mothers culture, with her language, with the food I eat at home and my upbringing and values. I identify with my experiences, with the people I have met and the education that I’ve had. I identify with my friends, my travels, my view of the world and my reflection in the mirror. Ultimately, I identify with what surrounds me. In certain spaces I identify more as black, in others I identify more as British while in some I identify as neither. Rather than taking away from who I am, I think it adds to it. A small example of how a fusion of different things can work, providing insight that I may have been too blind to see otherwise. I have been afforded a unique point of view that has shaped my immediate world for the better. 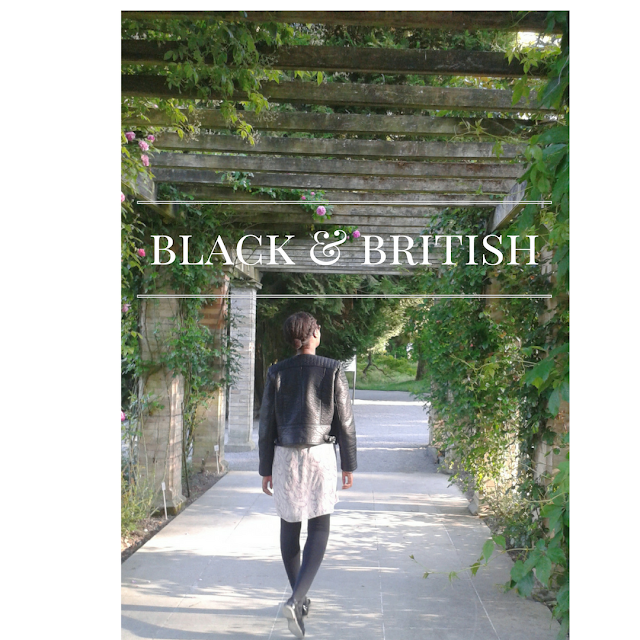 Over the next couple of weeks I will be talking about identity, specifically as a Black-British female. How do you define yourself and what do you identify with? I've been in London for just over one year now. It's been pretty intense and I feel like I'm only just starting to get used to being here. There are a couple of things that I wish I'd known before moving however, that would have made the transition from small-cute-and-quiet-Nottingham to omg-wow-slow-down-London a little bit easier to handle. Without the experiences though, I guess I wouldn't have learnt all the lessons and isn't that what life is about - make mistakes and learning from them? Still, here's a heads up on small ways to make it a bit easier. 2. No, but really - Re-read point number one. 3. Citymapper it - If you, like me, are incredibly stubborn and decide to move to London anyway, the first thing you should do is download Citymapper. It describes itself as the 'ultimate transport app' and it certainly lives up to this description. It's an app that will show you all the options available to you in order to get from A to B. It will tell you how long it'll take, what time to leave and all the different routes available. You can save regular journeys, keep up to date with the latest travel news from TFL and has the tube map available for easy reference. Simply put, it's great. All it needs to do now is make me pancakes in the morning and it'll be perfect. 5. Get out and explore - No matter how long you're in London for, there will always be lots of (sometimes free) things to do. Apps such as Dojo and YPlan along with free magazines like Time Out are great for uncovering events, hunting down fun things to do in the evening and seeking out adventure even on the most mundane of days. London also has great links to the rest of Europe - pick a weekend and get a train from Kings Cross St Pancras International Station and you could be in Paris by lunch time. 6. Explore both sides of the River - Following on from above, don't forget to explore both sides of the river. I've already become one of those 'North Londoners' who dislike going South of the River because of how long it can take. But when South London boasts of Greenwhich, Richmond Park, Kew Gardens, Battersea Park and Brixton, the journey doesn't seem too bad. 7. Walk around as much as possible - London is a vast, thriving, metropolitan city with a transport system so interconnected that there isn't a corner of the city that is not easily accessible by public transport. When you're in central, however, it's surprising how close everything is to each other. One of my favourite routes sometimes is to walk from Central to East Central (Holborn or Chancery Lane) to uncover that the streets that are usually packed with lawyers, bankers and analysts are now deserted and empty over the weekend. Walking everywhere is also a great way to build up a mental map of London that soon you find your feet taking you from Soho to Covent Garden without a seconds thought. 8. Keep connections and meet new people - I haven't quite mastered this yet but I think I'm getting better at it. You become surprised by how many friends and old acquaintances are also in London that it's great to re-connect. It's also extremely difficult as, naturally, everyone is super busy and trying to figure out their way in the city just as you are. But deciding to make the effort can make all the difference. Meeting new people is a tricky one, but events, talks, joining a club and even dating apps can introduce you to people who you otherwise would not have met. 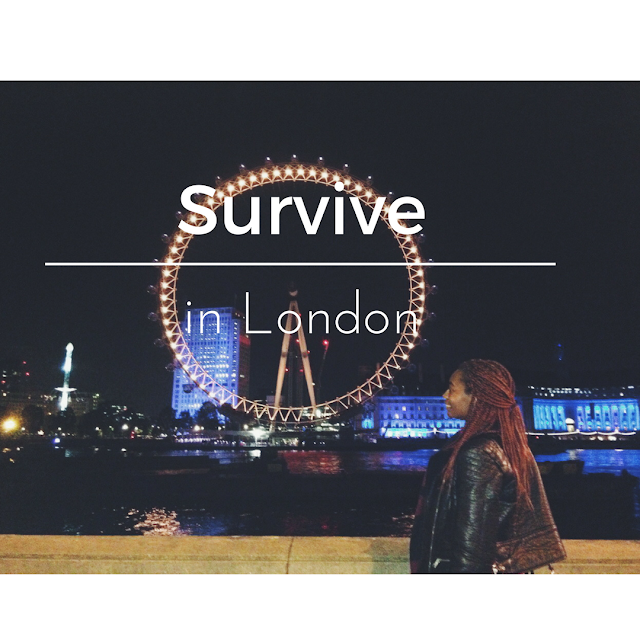 If you have moved to or currently living in London, what tips do you have on surviving and thriving? How many times have you been at your desk at work, looked up at the clock only to find that you're 20 minutes into your lunch break or that it's nearly 2.30pm and the last time you got up was to grab a sandwich before returning dutifully back to your desk. I can't say that this happens to me often - as soon as it hits 1.00pm I am up and out of my office building in a bid to walk around, eat, catch up with a book I'm reading or just generally take a break from the office. However, I notice that a lot of people around me at work rarely do this and opt for eating at their desk while continuing to work. Eating at your desk can be very easy to do, and, before you know it, your lunch break turns into a fleeting thought or even a luxury you once had. I often urge my current manager to take her full lunch break and get out of the office, to enjoy the one hour away and return to her desk feeling refreshed with a clear mind. I understand however, that demands don't stop and taking a full hour away from the desk can induce strange feelings of guilt or overbearing anxiety that you're going to seem unproductive. To think that you need to power on, that you have too much to do and that to take an hour out of your working day will, somehow, be unproductive is, in itself, very counter productive. 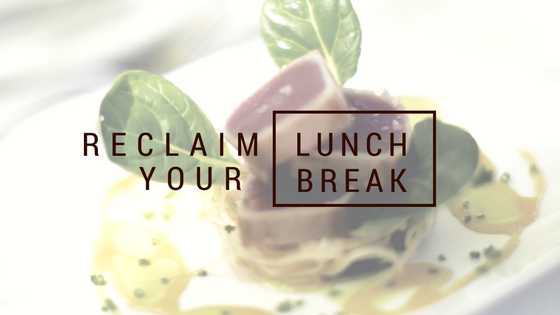 There are many health benefits - both mental and physical - in taking a full one hour lunch break away from your desk that include clearer thinking, restoring energy levels or simply bonding with colleagues. But if you are made to feel guilty about taking one hour out of the day to yourself, what does that say about society and the work culture? About the value employers place on the well-being of their employees? Remember that you are simply human - munching away at your desk on last nights left overs is not a fully qualified lunch break, it is more your body reminding you that you are not a robot and you do in fact need to eat, at the very least. 1. Why are we so determined to possibly sabotage our health, productivity and overall well-being for just one extra hour of answering emails or typing away at a report? 2. Who are these God-awful people who schedule meetings during lunch time? I've had days, of course, were I've inevitably had to eat at my desk due to changing deadlines and last minute requests that are time sensitive. It can sometimes be unavoidable. On those days I find myself hating everything and everyone - the hours seem to last longer while my concentration and energy levels are in dire need of some refuel. What I've come to realise is that your lunch break is indeed sacred. It's golden hour and a time to forget about your to do list. My argument for this is simple - out of the 35 - 40+ hours we work a week, what is the real harm in taking out 5 hours for ourselves. Go back to basics with some good, old fashioned bonding and ask a colleague if they want to get some lunch - you never know where conversation could take you and what relationships could blossom. Whatever the weather is like, go for a walk (or if you really can't face the cold outside, take a break in your office kitchen/canteen). Call your mum. Run some errands. Find a bench and read a book or magazine or newspaper or just people watch. If the work really can't wait, schedule a business lunch and talk strategies and upcoming projects while deciding if you want a side of sweet potato fries (who doesn't?) Or do absolutely nothing - we are always looking for ways to fill up every single minute of every single day that doing nothing but eat can be very calming. Whatever it is that you choose to do, just make sure that it's away from your desk and computer screen. I understand that for many, taking a lunch break simply is not an option. Horrible bosses, very bad company culture or working in medical care can easily contribute to the lunch break being an elusive myth one can only imagine but never truly experience. But if you do work an office job and your boss is somewhat reasonable, taking a lunch break will not diminish your work ethic or put your bonus in jeopardy. Work hard, get in to work earlier if needs be, but use that one hour as it's meant to be used - as a well deserved break. Even if the work is piling up, even if your to do list has just doubled, even if you think the world will implode* if you step away for one hour, take that one hour and reclaim it back in all its entirety. Go on, take a break. Do you regularly take your lunch break at work? Is lunch a waste of time or productivity booster? *This probably won't happen. I hope. Anything you want me to talk about? Copyright That Girl; Saadiya 2010 - 2014. Powered by Blogger. All gifted items will be marked with a (*) sign.